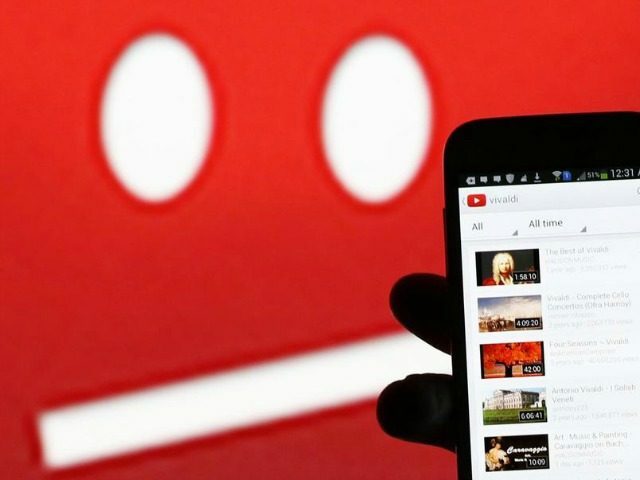 YouTube has demonetized videos by some the platform’s top content creators, leading many users with millions of fans to reconsider their future with the site. YouTube creator Ethan Klein from the channel H3H3Productions, which has over 3,600,000 subscribers, complained on Twitter Wednesday that YouTube had demonetized a range of videos, from his most popular “Vape Nation” comedy sketch, which has nearly 15 million views, to a “Thank You” for 3 Million subscribers video. dude same, I've also had a bizarre selection of videos demonetized with no notification or option to appeal. Several other top content creators also replied, adding that they were experiencing the same problem. Other YouTubers, including animator PsychicPebbles and personality Boogie2988, suggested action against the site in protest. “Yo f*ck this sh*t, let’s start our own website,” said PsychicPebbles, who has already moved the majority of his content to his own site in protest of YouTube’s treatment of animators in the past. In response to YouTube demonetizing his videos, popular animator David Firth, who has created some of YouTube’s most viewed animation series including Salad Fingers, Burnt Face Man, and Jerry Jackson, pulled his latest work from the site and launched a Patreon account for fans to donate as an alternative method of income. Ahhhhhhh news video is age restricted so no revenue??? how did this happen?? Sorry I have deleted my new video. It was age restricted on youtube. I'm not working that hard to make no money. Need a new plan. Youtube is not working for me any more. Any suggestions? If Youtube wants to be daytime TV that's their business. I just need to take my business elsewhere. Firth’s Patreon account has already received 92 patrons, who have pledged a total of $607 “per creation” made. YouTube replied to Breitbart Tech’s request for comment in an email, citing the withdrawal of advertisers over the past month due to their brands being featured on “offensive” and “extremist” content. What can you specifically do? If you are monetizing your videos and seeing a drop in revenue from videos that are being monetized, review your videos’ thumbnails, titles and descriptions to ensure they accurately represent the content in your video and are aligned with the advertiser friendly content guidelines. If you think your video was demonetized in error, request an appeal by clicking on the yellow $ icon next to the video in Video Manager. You will be notified once a decision is made on the appeal, and if it is successful, your video will immediately be monetized again and have a green $ icon. In light of these changes, we’re pledging to make the reviews process around appeals even faster for creators. You can learn more about how to request an appeal here. We want to ensure that advertisers continue to support the creativity on YouTube and while ad restrictions can feel limiting, they’re essential to protecting the livelihood of creators. We will continue to provide updates on our progress in the Product Forum.